I had flown out to Seville to fight – non-fatally – on a ranch nearby for the cameras of NBC Nightly News with Brian Williams in the US, before going to watch a corrida in the true heartland of bullfighting in Spain, it’s oldest major bullring, La Plaza de Toros de la Real Maestranza de Caballería de Sevilla (1749), then NBC was going to fly on to see 20,000 people pack into the century old Barcelona ring to watch Spain’s greatest matador, José Tomás, perform as the curtain fell on that part of the mundo taurino. After NBC pulled out due to production problems, I took my girlfriend to the city I now regard as my second home after London and remained safely in the stands. On Friday night, we saw a mediocre set of bulls of the second rank, fought with courage, determination and a lack of flair and technique by equally second-rank matadores. 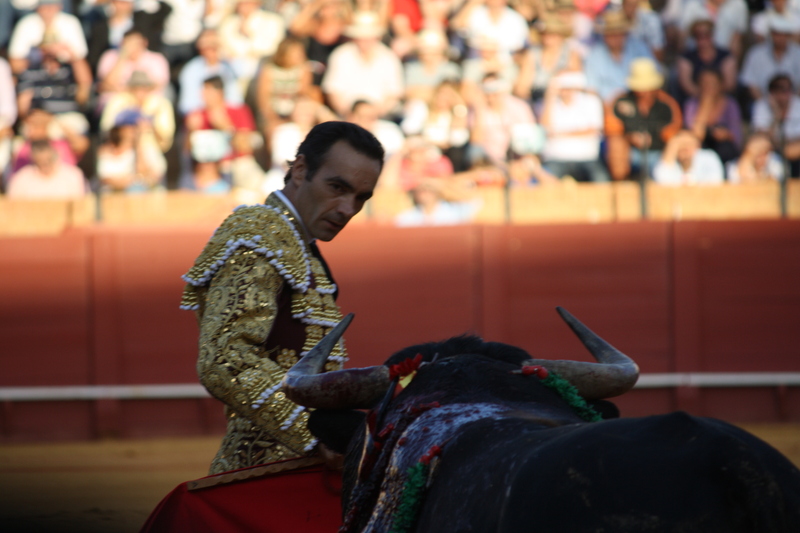 Given that we were sitting front row in seats generously donated by the bull-breeder Enrique Moreno de la Cova, it left a bad taste in my mouth. 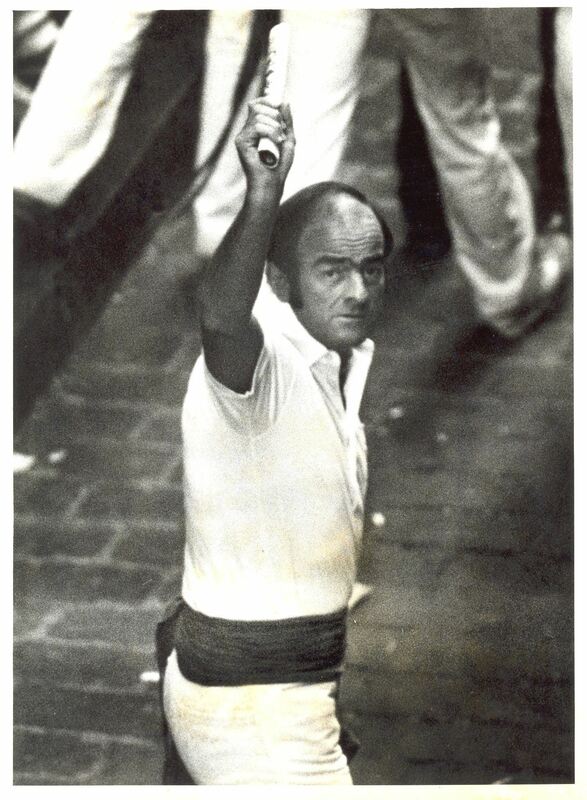 If the faena, the final part of each bull’s fight with the muleta or small red cape, has no art, then watching the picador drill his lance twice into each bull less than six feet in front of you can become the dominant visual memory. 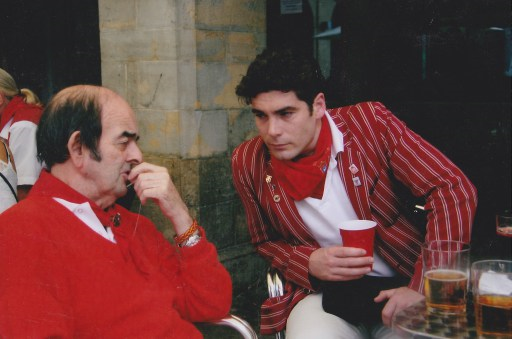 An evening out with that most garrulous of British aficionados, and the British Prince of Pamplona, Noel Chandler, did much to alleviate this. 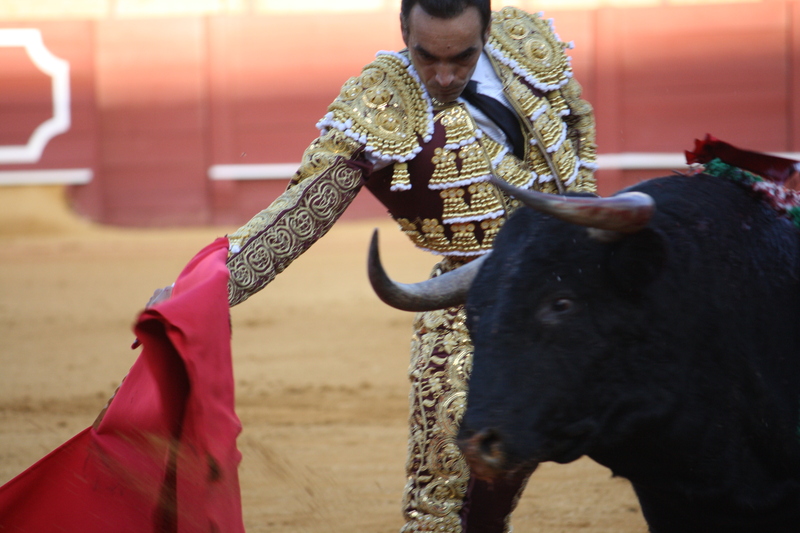 Luckily, on Saturday night, we watched the Seville professional- as I think of him – El Cid fight his first bull with a blithe confidence which built up to a complicated brilliance using a sense of timing and grace of movement which I thought he had lost.